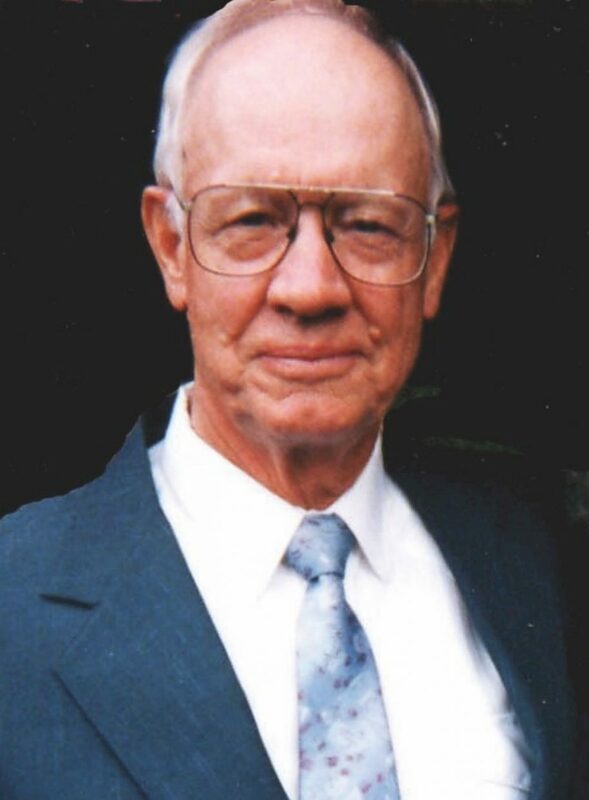 Paul Merle Elshere was born October 11, 1929 in Philip, South Dakota to Ruth (Eymer) and Paul Leroy Elshere. He was their first child who was then followed by Phyllis, Arlie, and Linda. Paul attended school at Elshere School, Milesville School, and King School for his elementary years then attended Philip High School for two years. He dropped out of school and worked for two years then returned to school and attended Rapid City High School for his last two years. He graduated from there in 1949. In 1951 he volunteered for the Air Force during the Korean Conflict. He was stationed at Lackland Air Force Base for basic then was sent to Perrin Air Force Base. He attended two schools while at Perrin and was sent to Wyoming's Warren Air Force Base and Scott Air Force Base in Illinois for more training. While at Perrin Air Force Base, he met his future wife, Joy Moore, and they were united in marriage in February 1952 In Bonham, Texas, where they lived for a short time before moving to Dennison, Texas, closer to base. While they were living on base their son James "Jim" was born. Because of the Korean Conflict ending in 1953, Paul was offered an "early out" which was readily accepted, and the family moved back to their beloved South Dakota to the ranch that he had missed dearly. Paul had many interests in life including racing quarter horses, airplanes, and rodeo. He learned to fly when he was 18 years old and flew his airplane for the next 50 plus years. The following years were filled with more children who included Timothy being born in 1955 and Andy in 1959. Paul continued to work with his Dad and brother Arlie on the ranch which was his pride and joy. Paul filled many positions around the community including being a 4-H leader, helped build the Milesville Hall and the Hardingrove Church. Paul was a member of the Hardingrove Evangelical Free Church of Milesville. Survivors include his wife of 66 years, Joy of Philip; three sons: Jim (Lana) Elshere of Milesville, Tim (Judy) Elshere of Milesville, and Andy (Donella) Elshere of Faith; nine grandchildren: Misty (Ronny) Anderson of Miles City, Montana, Cory (Stacy) Elshere of Quinn, Ryan (Chrissy) Elshere of Elm Springs, J.J. (Lindsay) Elshere of Hereford, Scott (Tia) Elshere of Sioux Falls, Shawn (Thamy) Elshere of Rapid City, Casey (Rachelle) Elshere of Hot Springs, Cole (Kyndra) Elshere of Faith, Kami (Jace) Jenson of Ralph, South Dakota; 21 great-grandchildren; two sisters: Phyllis Hanrahan of Philip, and Linda (Don) Conner of Hot Springs; and a host of other relatives and friends. He was preceded in death by his parents Paul and Ruth, and one brother Arlie Elshere. Paul loved his family and took great pride in each and every one of them. He will be missed by everybody. A visitation will be held from 5:30 – 7 p.m. with a prayer service at 5:30 p.m. on Monday, August 6, at the Rush Funeral Home in Philip. Funeral services will be held at 10 a.m. on Tuesday, August 7, at the Hardingrove Community Church in Milesville with Pastor Gary Wahl officiating. Interment will be at the Milesville Cemetery.